Select the amount and proceed to check out. When you have finished placing your order you will receive an order number. Your order number will become your special PROMO CODE. 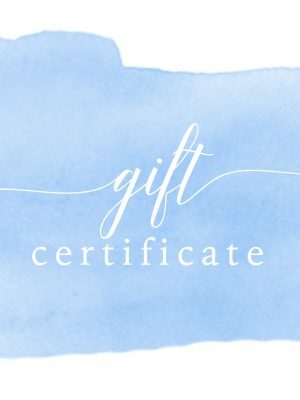 The Unsalted Boutique will then email you a printable Unsalted Boutique CERTIFICATE to gift to your loved one! When that special person is ready to redeem their Gift Certificate they will select the items of their choosing and enter the special PROMO CODE "ORDER NUMBER" at check out! Please email us if you have any questions!